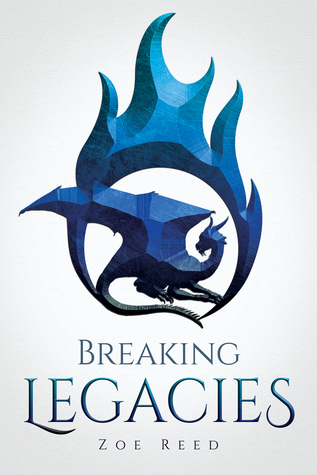 Breaking Legacies by Zoe Reed is phenomenal! It has everything you want and need all wrapped up in one glorious tale. This is easily, EASILY one of the best books I have read in 2016! The romance gives you the feels, the characters are strong dynamic women, it’s just so freaking good. Kiena Thaon is a nineteen-year-old woman who is beyond skilled as a hunter and tracker. Her family is dirt poor, left to starve after her father was killed after being labeled a traitor to their king. While the family’s name has been ruined, Kiena has learned to provide by taking what she can from the forest. Her family would die if not for the provisions that she provides. Her skills have been honed out of the direst necessity. What is amazing about Kiena is her graciousness and selflessness. She is one of those characters that while her life has been so difficult, she never lets those hardships jade her. Her spirit captivates you as the reader. Think of her as a Katniss Everdeen type character. She takes the role as the hero, not because of machoness but because that role falls on her. You love her for her vulnerability as much as her strength. Ava Gavestonis is the other main character in Breaking Legacies. When we first meet her she is a runaway princess that Kiena has been hired/forced to find. Her father, King Hazlitt wants her brought back to the castle immediately. Ava is nothing like the stereotypical princess Kienna thought her to be. Ava is witty, smart, compassionate and by no means Kienna’s sidekick. No, this woman matches her, they are so different but absolute equals. There are no little women in this book y’all! When Kienna realizes why Ava is running from her father, she must help her on her quest south. This is where a domino effect happens, and a revolution becomes their reality. I think what really sets this book apart from so many others is how multilayered it is. Zoe Reed has given you a long detailed story. She never cut corners to save space. Seriously this book is way bigger than 99% of others in the genre. Reed takes her time and draws the characters out. Backstories are cleverly crafted, the scenes are set, and you feel the story as much as see it as you read. What I loved most of all, and I am talking really loved, is how the character’s chemistry between each other is just dynamite. It just jumps right off the page! You have sexiness, cuteness, agonizing loss and courage all rolled into one epic adventure. Just so damn good!